To make sure the high safety and productivity in modern factory, we produced the remote control gantry crane. Due to easily manipulate, a remote control gantry crane is widely used in many working environment, such as the warehouse, harbor, shipyard, hydro power station and some construct sites. 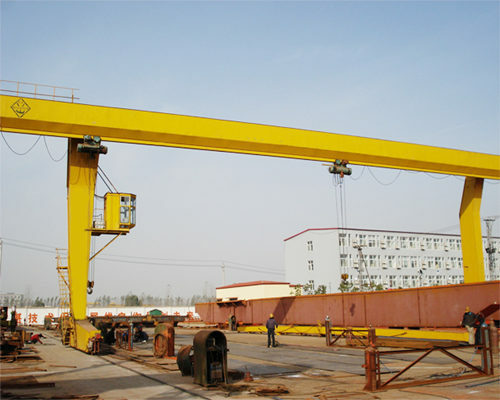 There are mainly two manipulation methods to choose for customers about a gantry crane. These are the ground control and cabin control. And the ground control also can be divided into two different ways, one is the wireless remote control, and another is radio remote control. Gantry crane remote controlled contains various kinds according to the different components and working environment. Such as the MH type box structure gantry crane, the truss structure gantry crane, the BMH box structure semi gantry crane, and the L type leg single girder gantry crane and so on.